Why is it that kids’ rooms always seem to be a mess even one day after they have cleaned it? “Clean your room” may be the phrase that parents most commonly use in the home. Of course, as adults we are usually no better. I am writing this at my home, a place where I often get the feeling that I am living inside an I Spy book. 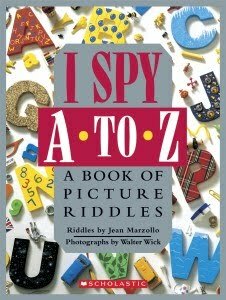 It can take an hour every night to tidy up the house at the end of the day and a day later it reverts back to the house of I Spy legend. Clutter and disorganization is the ruination of many a happy home or office and in the long run probably a greater thief of time than keeping things orderly. For those of you with a similar problem, take heart. It is not your fault, it is the result of a scientific law. It is called the Second Law of Thermodynamics. It says that all processes manifest a tendency toward decay and disintegration. This results in a net increase in what is called entropy or a state of randomness or disorder of the system. In other words, things just naturally fall apart, break down and become disorganized. That is the natural bent of houses, children’s rooms, cars, home appliances, flower gardens and the human body. We even describe it as we get older in terms like “my body is falling apart.” As a side note, the Second Law of Thermodynamics is something the evolutionists do not want to talk about. How can the world and man be evolving to a greater degree of complexity when this scientific law says just the opposite? So what is the answer to messy rooms and a random and chaotic universe? We know the cure for the messy room or cluttered desk is intelligent action, organizing things, filing away papers (where they can be found when needed) and putting the toys and dirty clothes where they belong. That is the only answer. Even better is intelligent action on a continuous basis. When the mail comes in, you go through it, throw away what you do not want, act on what needs your attention and file away what you want to keep. Have the children pick up their toys and put them away when they are done playing with them. A continuous intelligent effort is the answer to clutter. Similarly, a continuous intelligent action is necessary to keep this world in an organized state. 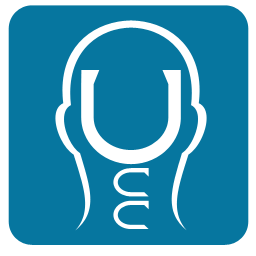 When it comes to living organisms in general, and human beings in particular, upper cervical doctors call that continuous intelligent action the innate (inborn) intelligence of the body. It is responsible for every physiological function in the body from digesting breakfast to making brain cells. When there is an interruption in continuous intelligent action in the body we say the body is in a state of dis-order or in-coordination. Sometimes the lack of intelligent action manifests certain symptoms which medical doctors describe as disease. Often it demonstrates no perceptible manifestation, no more than that one toy sitting on the floor off to the side which should have been put away. Due to the complexity of the human body continuous intelligent action necessitates a properly functioning nerve system. When the head and neck become misaligned in such a way that it interferes with the nerve system there is dis-order in the body. Without any attention from the innate intelligence, the human body disintegrates back to the dust from which it came. Without the full attention of the innate intelligence the body will begin to move faster and faster toward a state of cellular chaos and ultimate dis-order. The Second Law of Thermodynamics will get us all in the end. It is a law. However, helping your nerve system function free of interference with periodic upper cervical care checkups can reduce the effects of that law.